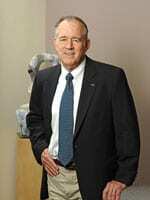 The law firm of DeConcini McDonald Yetwin & Lacy is pleased and proud to announce that shareholder John C. Lacy was selected as a recipient of the University of Arizona Alumni Association Professional Achievement Award for his prominence in his field. Joined by his wife, Terry Lacy, and several members of the firm, Mr. Lacy accepted the award at the Law College Association Awards ceremony held on March 3, 2017, at the James E. Rogers College of Law. Other award recipients of the evening were: The Florence Project (Law College Association Award); The Honorable Bobby Baldock (Public Service Award); and Gabriel Galanda (Professional Achievement Award). Our Firm congratulates all the recipients.